Addiction is not just about the drinking, drug or food use in the alcoholic or addict. It also profoundly affects their thinking and behavior. Ultimately it affects every aspect of their lives including you, their loved one. Over time it gradually affects your thinking and behavior until you reach the point where you wonder how you got to be the person you’ve become. 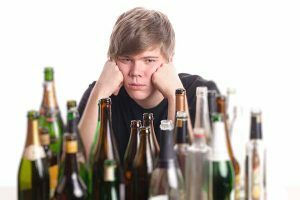 You become preoccupied with the addict’s drinking, eating or using either by obsessing about it and ways to control it, or by trying to numb yourself to it and its effects. You begin to question yourself and your perceptions of what’s normal. You may feel like or be accused of being the “crazy” one. This sometimes paralyzes us from taking action regarding our loved ones addiction. You tolerate negative behavior and find yourself behaving in ways that you later regret; all the while hoping the situation will get better even as it continues to get worse. Does this sound familiar? As a result of the denial, which is the hallmark of the disease, you tell yourself it’s not that bad. You cover up for the addict or try to punish them for their behavior. Your life becomes centered around the addiction. When this occurs it limits your ability to be emotionally available to your children or other loved ones in your life, they too become casualties of the disease. You reach a point where you’re not certain how or why things have changed, but it has and the love and caring in your family has been lost, and you settle for less.